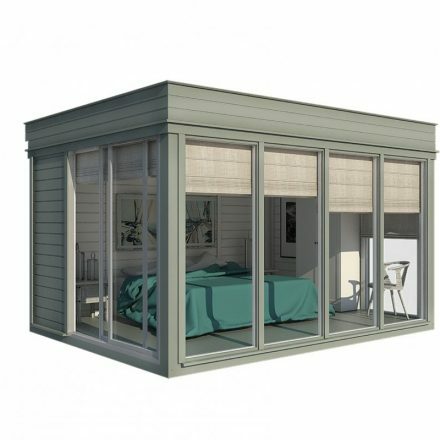 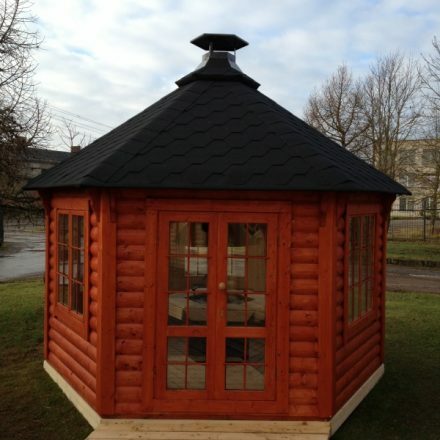 The walls are built from 38 mm spruce wood, the roof with bitumen shingles insulates your pets from the heat during summer and against the rain. 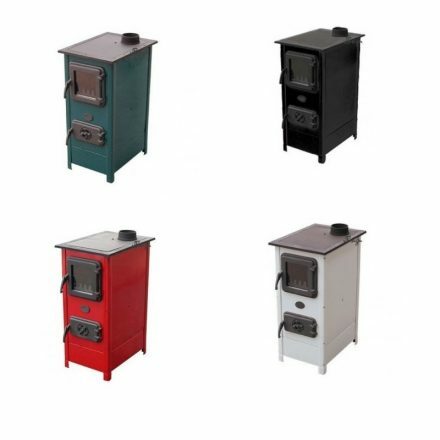 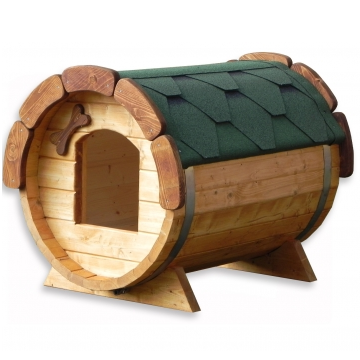 Assembled size: 850 x 1070 x 855 mm; 10 mm plywood floor 390 x 770 mm; Delivered fully assembled; Suitable for medium sized dogs. 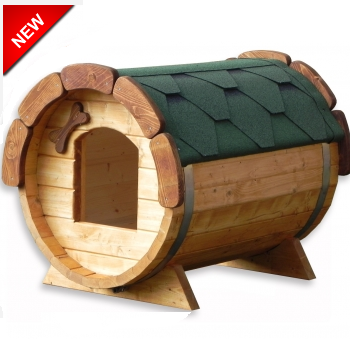 This unique dog house offers the benefits of a traditional dog house, but with an entirely new look. 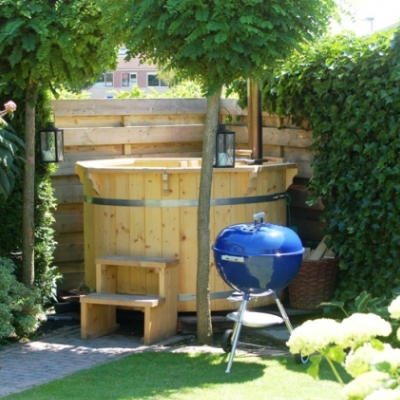 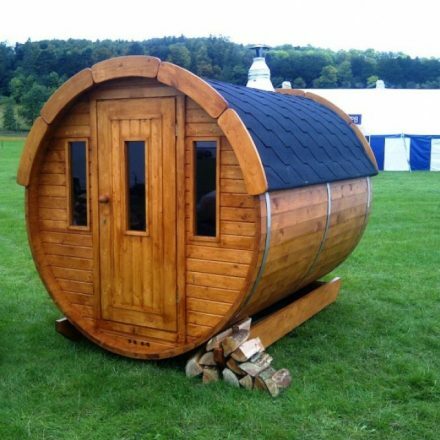 Barrel dog houses are built one at a time by experienced craftsmen and match our sauna barrels design. 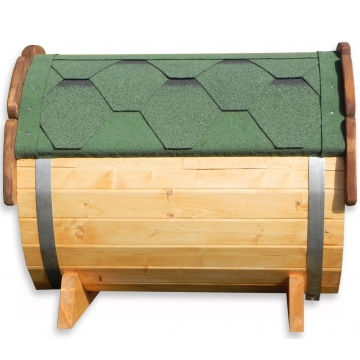 Barrel shape dog house is raised on small legs which stops the damp and cold from penetrating the dog house floor.